CMS Administrator Seema Verma said that the remote monitoring change and others would promote care innovation and reduce provider burden. Alongside this change also came others regarding payment and safety standards for qualified home infusion therapy suppliers; a reduction in administrative responsibilities for certifying physicians; and the planned implementation of a new case-mix system focused on patient need over care volume. 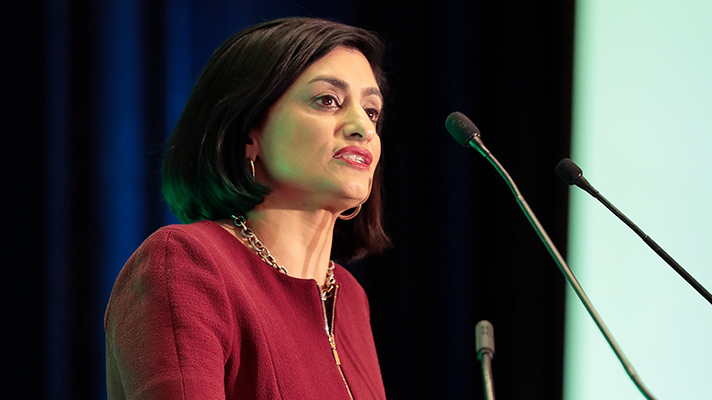 “Today’s rule overhauls how Medicare pays for home health, refocusing on the needs of patients, promoting innovation, and reducing burden for physicians and home health providers,” CMS Administrator Seema Verma said in the announcement. Remote monitoring enables the collection of patients’ health data, such as vital signs, weight, blood pressure, blood sugar, blood oxygen levels, heart rate and electrocardiogram readings. In a fact sheet accompanying the announcement, CMS acknowledged data indicating the benefits of remote patient monitoring adoption. By setting a definition for the technology and including it as an allowable cost on HHA cost reports, more home health agencies will be incentivized to offer the services to patients, the agency hopes. Verma and CMS have been hot on the idea of remote monitoring technologies for some time, and stated as much earlier this year when the proposed payment rules were first released. This tech-driven approach to care was also added to CMS’ Merit-based Incentive Payment System (MIPS) as a new reimbursable Improvement Activity late last year — and in fact, MobiHealthNews predicted that remote monitoring reimbursement would be major focus throughout 2018 back in January.